Being a design blogger has its perks. One is that you are out and about when design fairs are taking place. 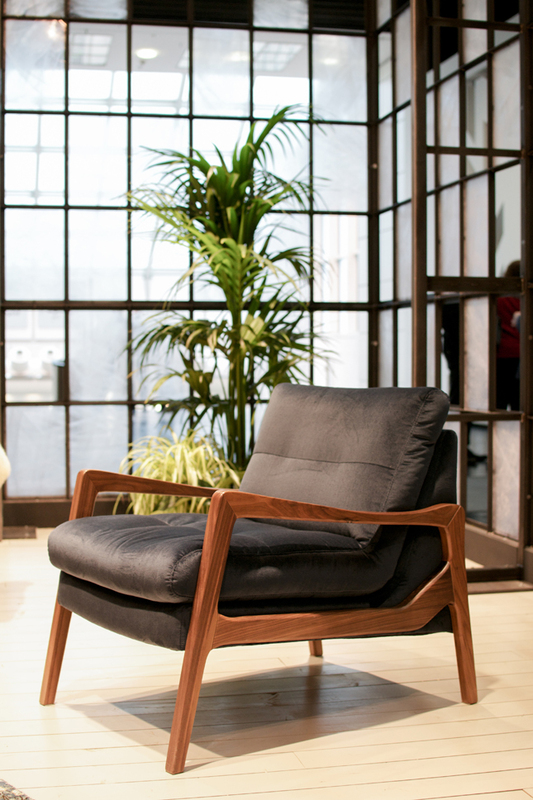 Last week I spent in Cologne at the international furniture fair imm Cologne 2015. 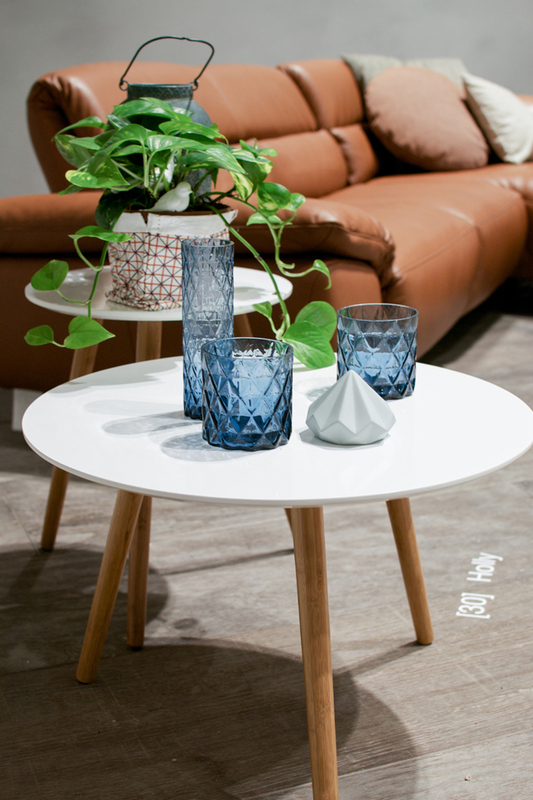 The design fair takes place on various places in Cologne: The majority is at the city’s fairgrounds, but there are also interesting exhibitors in a showroom area called ‘Design Post’ and scattered all around town in various interiors shops and other showrooms. 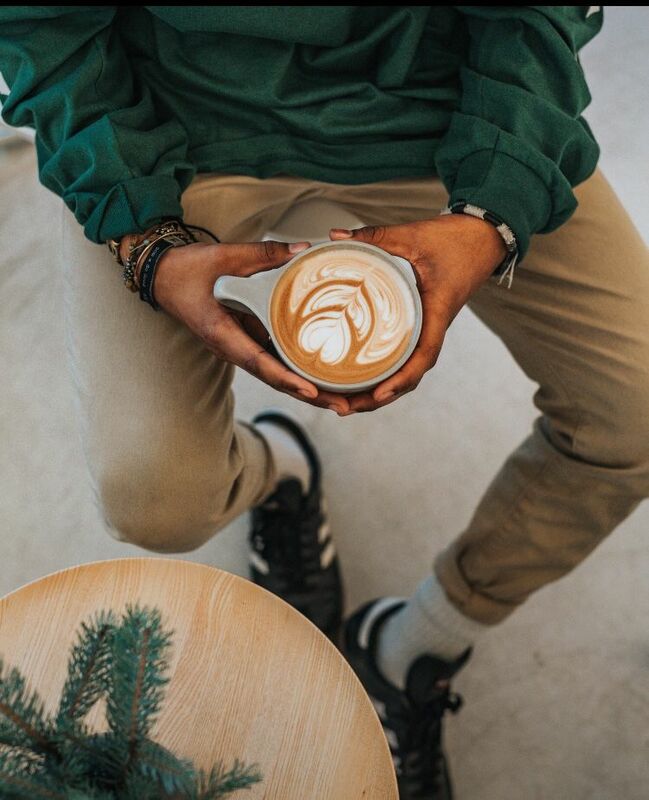 Consequently, I’ve seen lots of cool designs, I’ve spoken to fantastic designers and I brought back too many impressions as to squeeze them in one single blog post. So expect more to come! 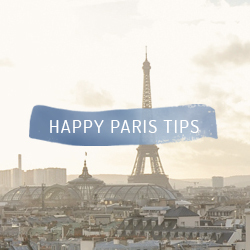 Green is here to stay in 2015 – in two ways. 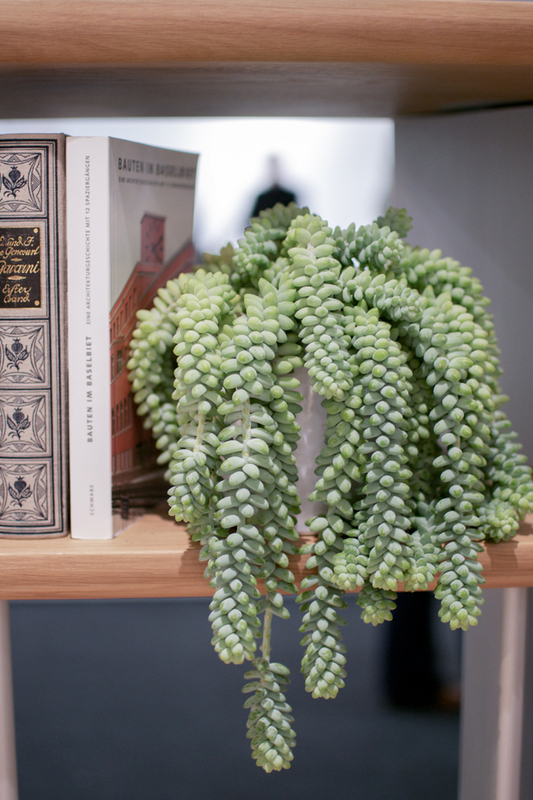 I’ve seen lots of green as a colour in its various hues on home textiles, furniture and accessories. 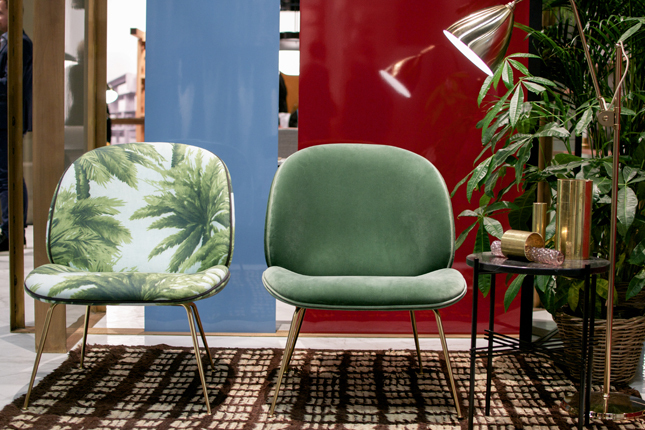 I have also seen many jungle prints on textiles and upholstery – one of my favorite was the jungle chair from Danish design label Gubi. 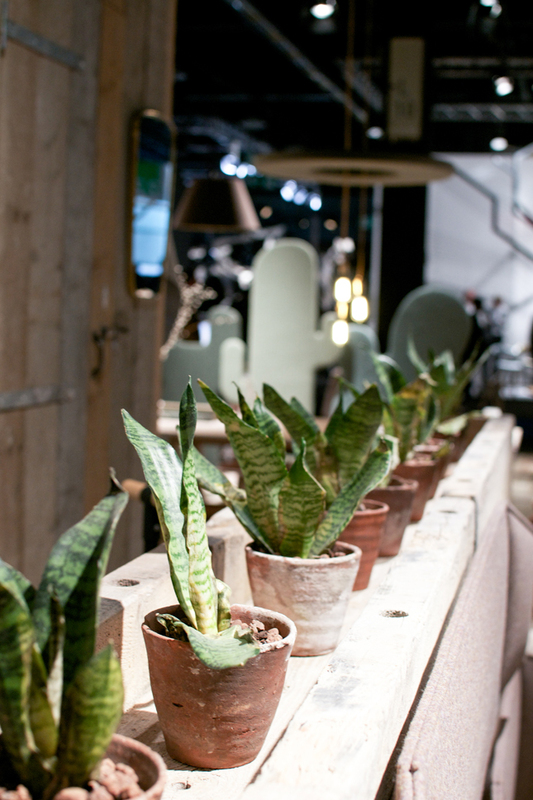 I need not mention all the plants – again, many booths have been styled with plants abound. 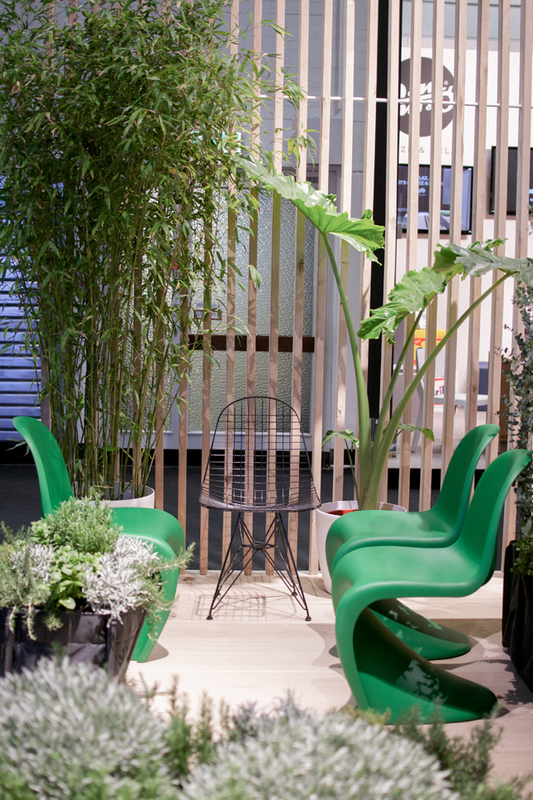 Particularly outstanding were the Vitra stand, the Belgian label Buzzi Space and the German furniture manufacturer Ewald Schillig. 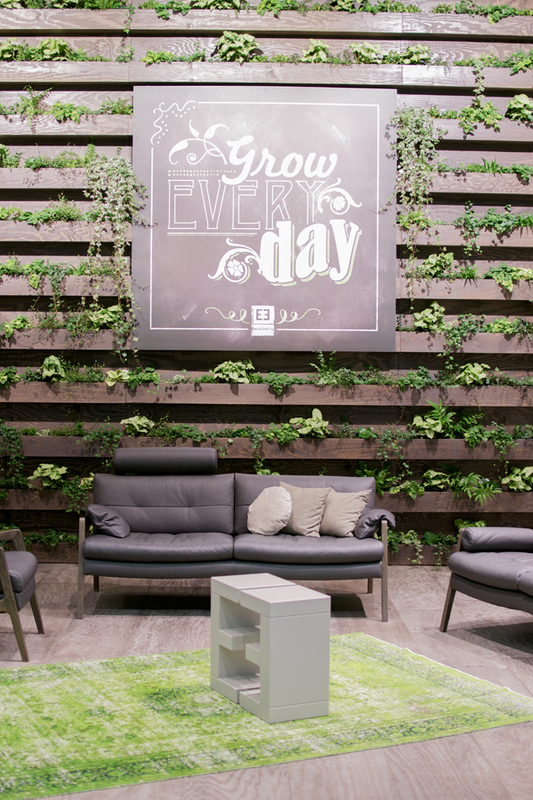 Natural materials continue to convince in 2015. 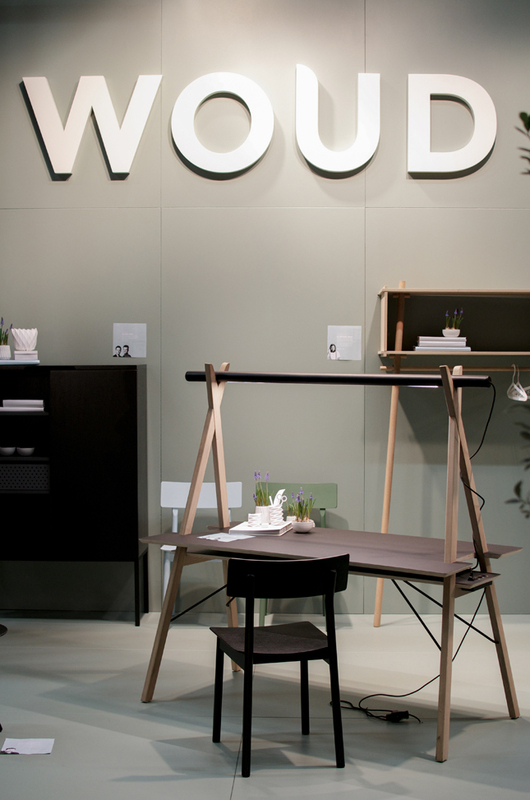 Lots of wood furniture was presented and the focus on natural materials is also interpreted in various material combinations like wood and leather. I particularly loved the new Danish label ‘Woud’. 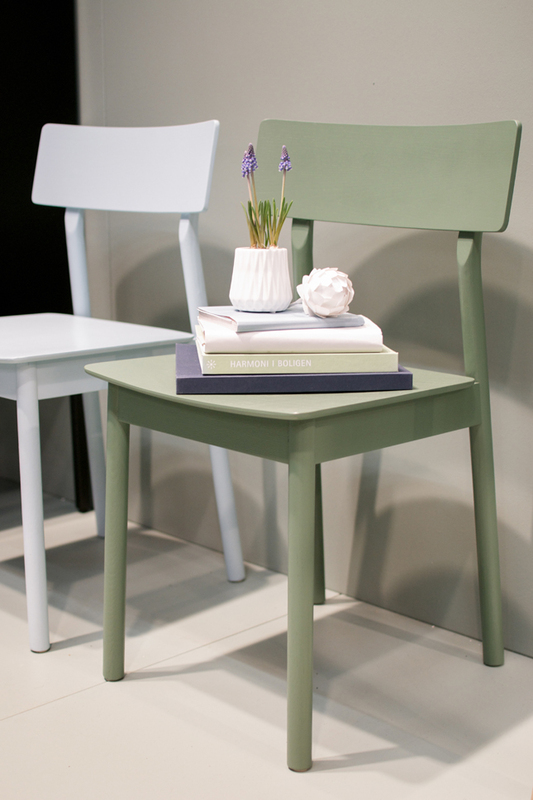 Their collection features simple and refined furniture pieces created by various designers, mostly Scandinavian ones. 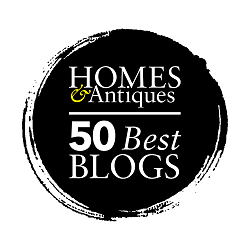 I think they will be pretty interesting for all of you who love Scandi styled interiors! One of my favorite parts at design fairs is the young designers section. I like to see what the next designer generation is keeping in readiness for us. 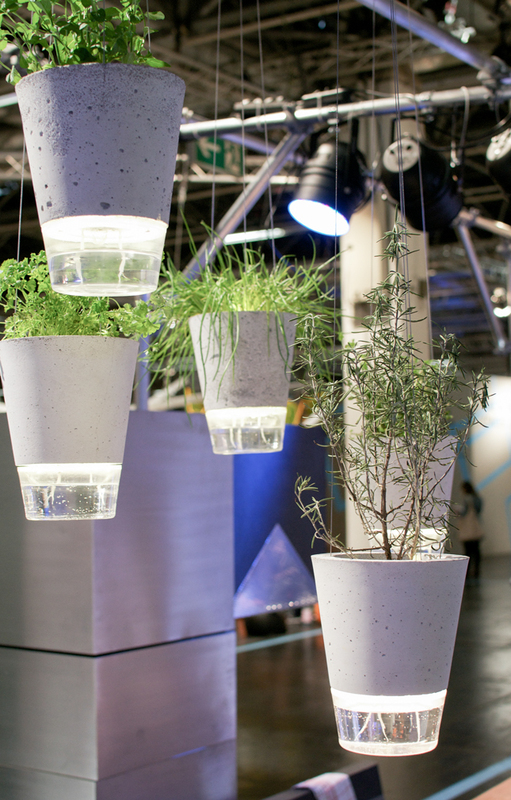 In Cologne I enjoyed the creative kitchen solutions presented by students from the interior design school of Stuttgart – among their solutions was a lighting idea with potted plants/herbs serving as fresh greens and light in one. The shelf system ‘Deep Forest’ by Silvia Terhedebrügge is another cool solution inspired by nature – the shelves rise organically like leaves from branches. 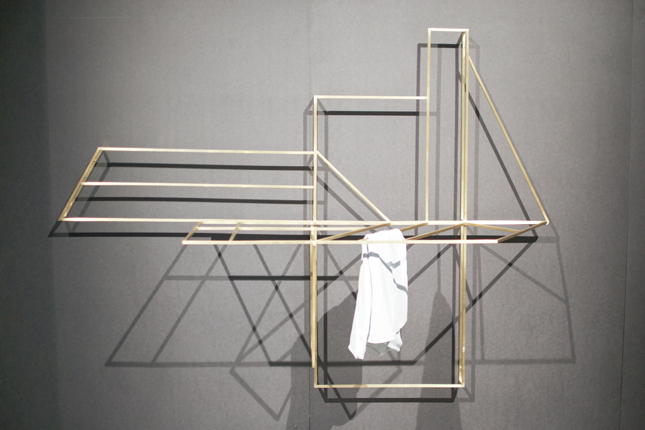 The brass clothing rack ‘Foldword’ by Friederike Delius is another interesting piece. Its graphic appearance is inspired by German traditional half-timbered constructions and is foldable. 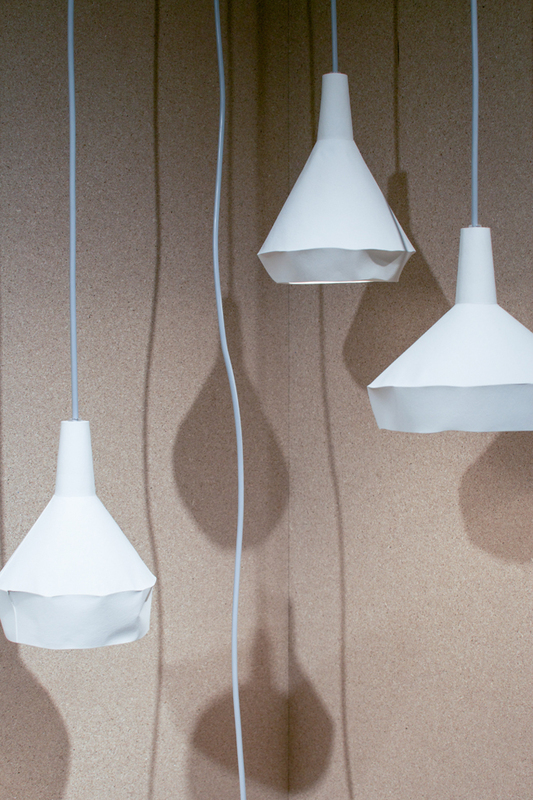 The concrete lamps ‘Like Paper’ by ‘Dua’ have a paper like appearance although they are cast in sturdy concrete. 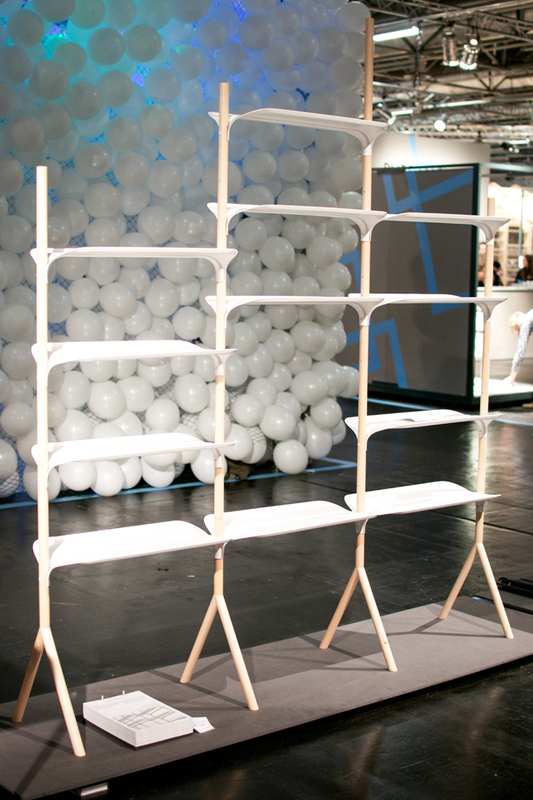 The Berlin based design studio ‘llot llov’ presented playful solutions for urban homes. 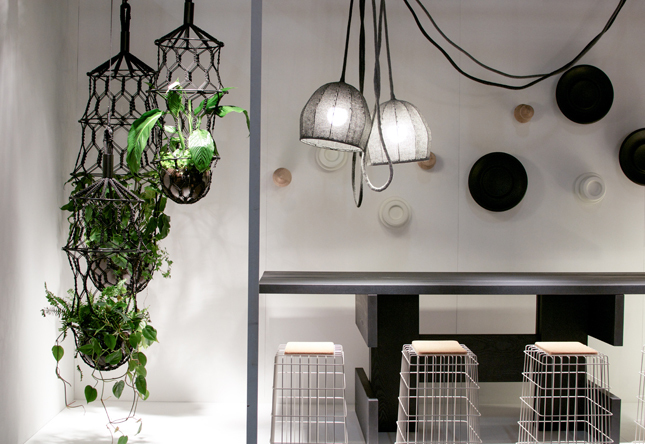 I loved the funky, macrame inspired hanging planters. 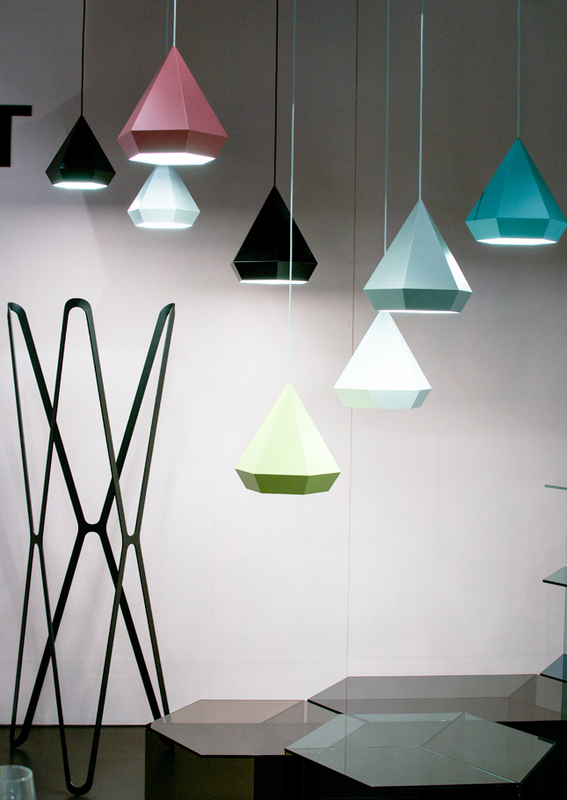 Neo/Craft is another brand new design label from Berlin. 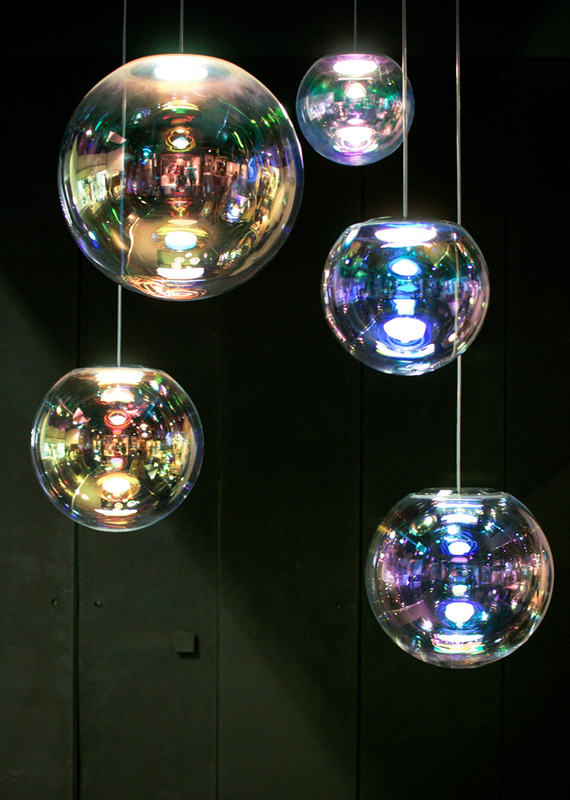 The designer Sebastian Scherer exhibited cool furniture and lighting pieces like the soap bubble looking pendant ‘Iris’ as well as the colourful ‘Diamond’ pendant. 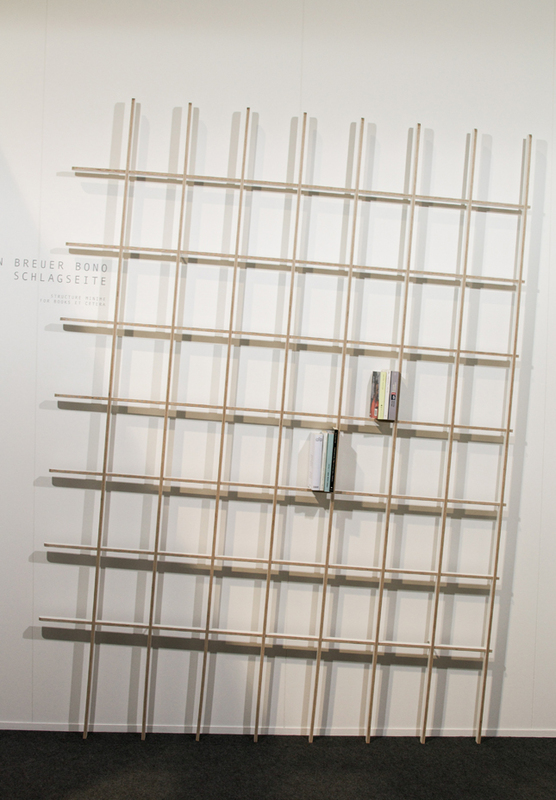 The Austrian designer Martin Breuer Bono presented a very cool book shelf called ‘Schlagseite’ which literally means ‘list’ (nautical language for tipped over position) – pretty fancy for artsy interiors, isn’t it? 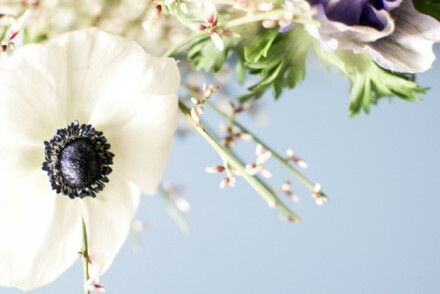 Read another round-up in German on Roombeez if you like! Enough for today, I will share more highlights and designer talks with you over the next few days. Super, Igor, auch wenn ich gerade ein Renaissance-Phase habe, so konnte ich dennoch in diesen schönen Bildern schwelgen. Toll ist das viele Grün, da warst du wohl ganz in deinem Element. Das stimmt Angelika, grün ist und bleibt Trend zu meiner Freude! That Vitra picture is amazing! 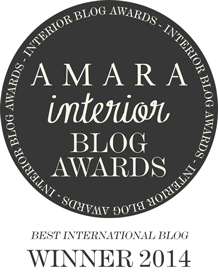 I love your selection, and I’m so in love with the Gubi chairs! Wish I could have gone too. 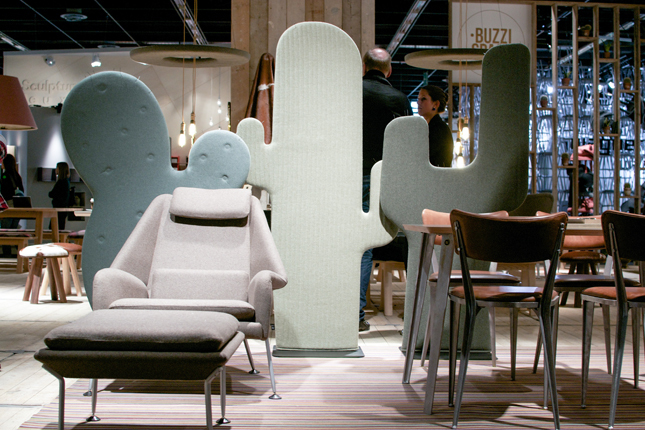 I always enjoy the fairs, it gives you so much inspiration and insights into the upcoming trends. Thanks for sharing! That is true, Louise. Even though fairs can be pretty exhausting, you feel invigorated with all the news and inspiration! My pleasure, Elisabetta! Usually the young talents are always a very interesting and exciting part of the fairs! 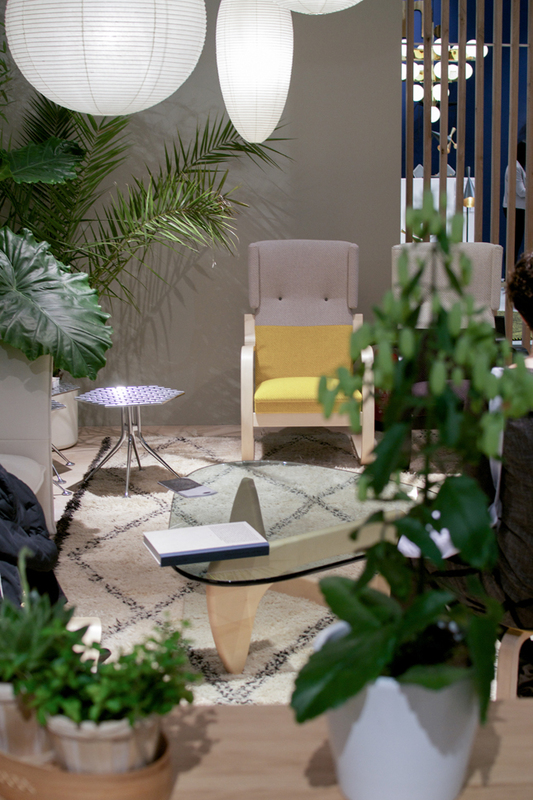 Thank you for sharing Igor, I really enjoyed all the beautiful plants and the different plant pots and furniture pieces. What awesome displays! Looks like an amazing show. So many great stuff… the cactus spacer for example is pretty cool! Beautiful line of furniture indeed! I love how the oak flooring really complements the floral furnishings which make the entire combo looks so cheerful and lively. 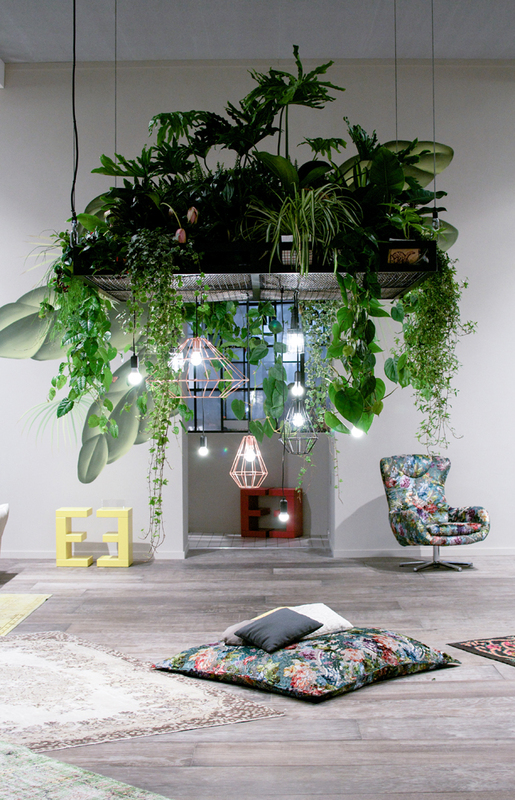 I had my estate agent find me something similar for our new home so that we could have a garden theme which will definitely evoke a relaxing atmosphere for us to laze around after a hard and tiring day. 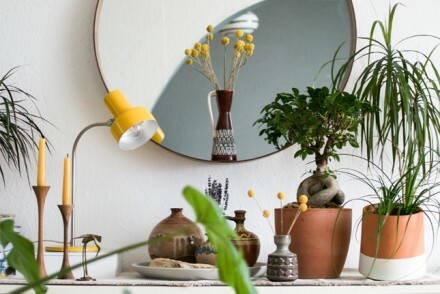 That’s so funny you mention the abundance of plants you saw, because I was just inspired the other day to start a pinterest board about plants indoors. Why do you think this has become so popular at this time? Wow,What a gorgeous lights,I am stuuning.